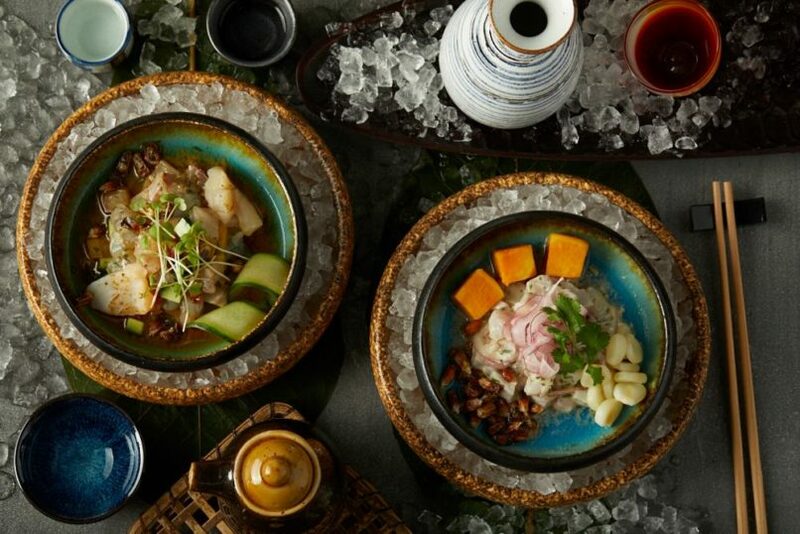 If you’re anything like us, you likely consumed way too much food and drink last month during Taste of Hong Kong and all the Art Month mayhem, but now’s no time to get those calorie counters out — April sees a host of new openings to put on your culinary calendars, in addition to these one-off pop-up dinners below that are well worth checking out. Anyone familiar with chef Eric Räty’s work will know that Japanese ingredients and techniques have a profound influence on his food: At Arbor — which won a Michelin star less one year after opening and made our best new restaurants of 2018 list — Räty showcases the full breadth of his French-Japanese style of cooking, paying homage to the purity of seasonal ingredients from Japan underscored by the elegance and grace of French white-tablecloth dining. 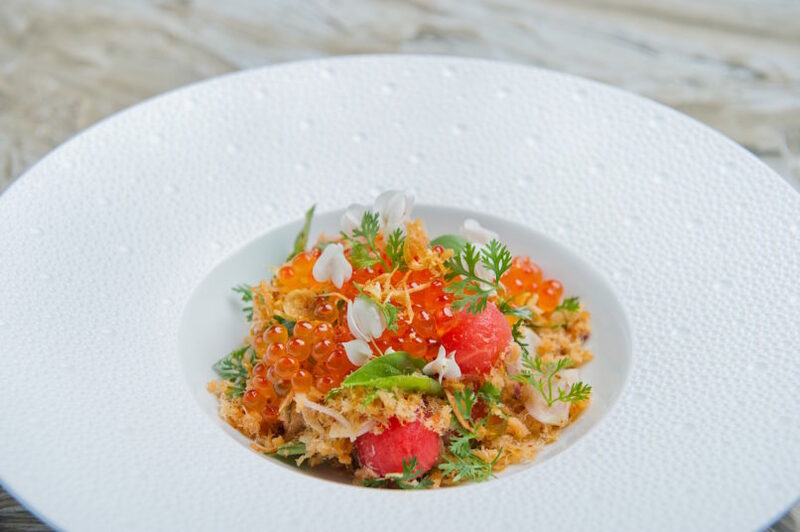 In a highly anticipated collaboration, chef Räty will open up his kitchen at Arbor to a culinary tour de force in Tokyo’s dining scene: chef Noboru Arai of two-Michelin-starred Hommage. 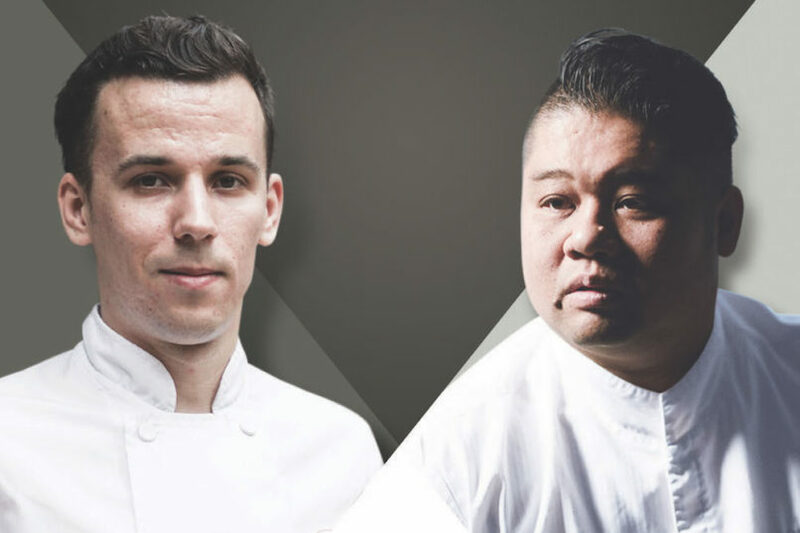 Together, the two powerhouse chefs are set to present a 4-hands degustation menu from 11–13 April, with both lunch and dinner menus rooted in seasonal ingredients prepared with refined techniques. Paying homage to nature, the rare 4-hands menu is set to be one of the dining highlights of the year thus far. 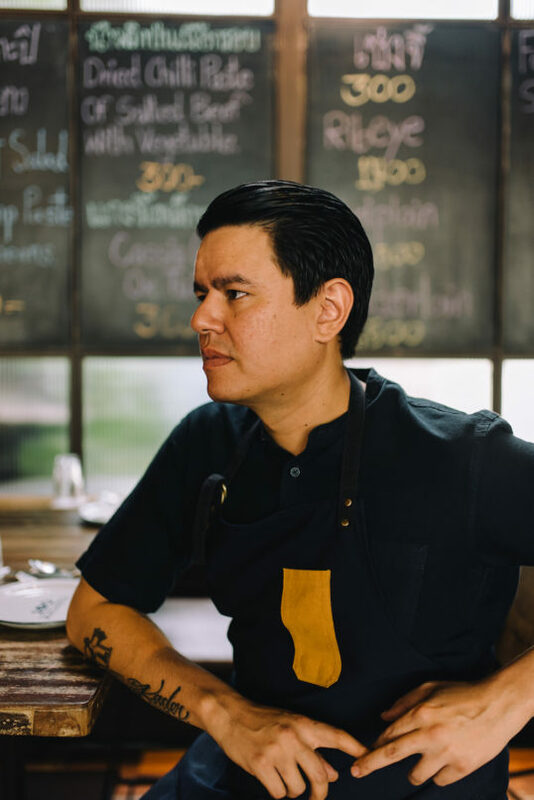 After welcoming a host of international chefs over the years, Test Kitchen is turning the spotlight on one of our own this month: chef Devon Hou, whose impressive CV includes three years at two-Michelin-starred Amber and four years at Tate Dining Room. 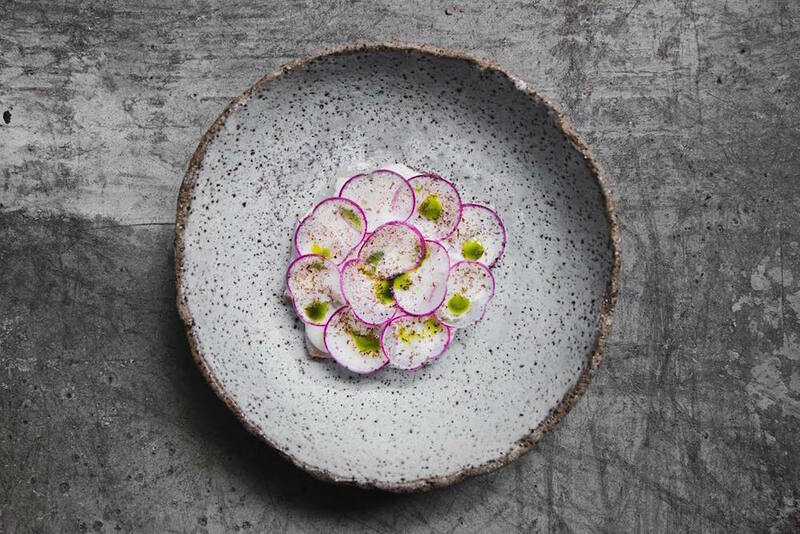 With her culinary approach focusing on light, minimalist plating and recipes inflected with Japanese flavours and techniques, Devon’s cooking is a true reflection of her multicultural upbringing, as well as experience working in some of Hong Kong’s most refined kitchens. Her 8-course spring tasting menu is a culmination of the knowledge she’s picked up along the way, with a parade of composed dishes including uni bubble with basil tomato consommé jelly, Spanish octopus with beetroot and smoked paprika sherry oil, and fregola with sakura ebi and parmesan cheese. The highlight of the menu is premium Okinawan pork belly set on a bed of carrot tahini purée, while dessert wraps up with a refreshing shiso ice cream paired with peach cream and a crisp tuile. Beet’s elegant and modernist cooking demands to be savoured with equally fantastic wine, which is why we’re truly excited that one of our favourite restaurants in SoHo is teaming up with organic wine bar La Cabane this month for a dinner celebrating niche producers in France. At the cosy restaurant tucked away on Kau U Fong, chef Barry Quek consistently impresses with his stunning yet simple dishes, whether it be fatty pork belly juxtaposed with charred radicchio, or plump fresh oysters in a deeply flavoured burnt spring onion broth. For those keen to sample Quek’s latest creations, you’ll want to book a ticket fast for this exclusive wine dinner on 10 April, where the chef’s flavourful dishes will pair with a range of organic and biodynamic wines from niche winemakers in France as introduced by La Cabane, with the winemakers themselves on hand to share the stories behind their bottles. Price: Lunch priced at HK$2,688 for sushi omakase, HK$2,288 for tempura omakase; dinner priced at HK$3,288 for sushi omakase, HK$2,888 for tempura omakase; 4-hands dinner priced at HK$3,888 per person on 13 April. All prices include one complimentary glass of Veuve Clicquot Vintage 2008 champagne and are subject to 10% surcharge. 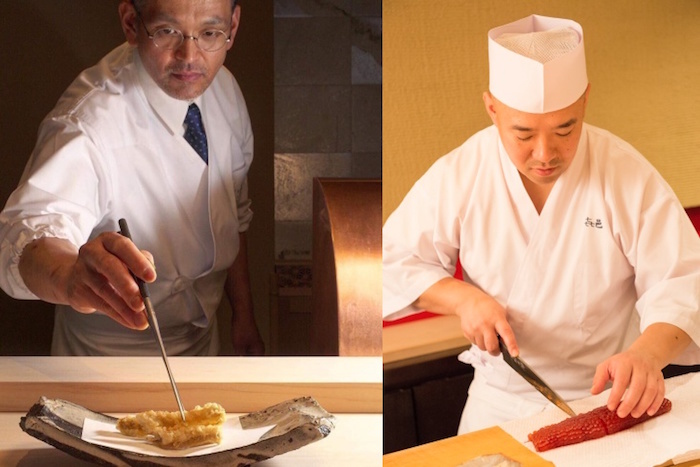 One of Tokyo’s top sushi masters, Koji Kimura, along with tempura artisan Shuji Nitome, are set to land at The Ritz-Carlton, Hong Kong this month, bringing a taste of their authentic Japanese delicacies to Hong Kong’s sushi-adoring gourmands. From 12–14 April, both chefs will set up shop at an exclusive pop-up at Ozone; perched atop one of Hong Kong’s highest vantage points, they’ll delight dinners with exclusive sushi omakase and tempura omakase menus for both lunch and dinner, coming together on the evening of 13 April for a joint 4-hands dinner for one night only. Known as the “Father of Aged Sushi” chef Koji — owner of the two-Michelin-starred Sushi Kimura — brings his signature method of dry-ageing to activate the natural umami of the fish; while chef Shuji presents his methodical tempura frying technique achieved through exacting oil temperatures and a patented batter recipe. To complement the dinner, guests will be able to choose from a premium sake menu courtesy of Sake Central. It’s a meeting of the Michelin minds as Hong Kong’s VEA teams up with Bangkok’s Paste to collaborate on a 2-night pop-up dinner from 25–26 April. Chef Vicky Cheng is well known for pioneering the concept of “Chinese x French” cuisine in Hong Kong, highlighting Chinese ingredients with exacting French techniques and whimsical flavour profiles. He also runs an open kitchen with frequent collabs, this time welcoming chef Bee Satongun (Asia’s Best Female Chef 2018) of Paste into the kitchen for an 8-course dinner celebrating the cross-sections of Chinese and Thai cuisines. We had a recent taste of chef Satongun’s food at Tate Dining Room (see our March Best Bites here), and if her signature curry is anything to go by, diners are in for a special treat, with Satongun serving up signatures such as her watermelon made with ground salmon, fried shallots and roasted galangal powder. While tickets seem to have sold out instantly on VEA’s website, you can try your luck and check back to see if anything opens up closer to the date. 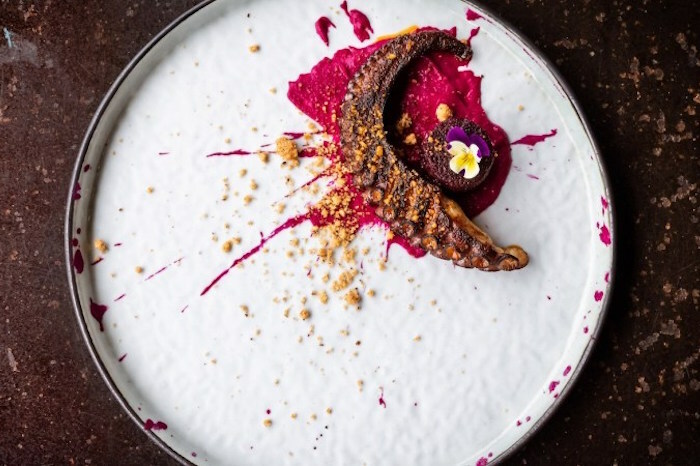 SoHo’s buzzing Thai establishment, Soul Food Thai, welcomes the renowned chef Chalee Kader of Bangkok’s 100 Mahaseth this month for an intriguing pop-up dinner centred around Kader’s ethos of local nose-to-tail cooking. Known for his part in creating other Bangkok hot spots such as Holy Moly and Surface, chef Kader made his name in sustainable cooking, and excels in classic Isan province fare, serving up bold-flavoured dishes from beef entrails in spicy soup to charcoal-roasted bone marrow. He joins forces with Soul Food founder chef Jarratt Wrisley and head chef Charrin Singdaechakarn — herself a native of Nakhon Phanom in Isan province — to create an Isan-inspired menu with creative twists, underpinned by Kader’s disciplined, sustainable approach to cooking. Neon Pigeon returns to Hong Kong for a second collaboration with TokyoLima this month — both restaurants embracing a similar ethos of eclectic small plates dining served up in an atmosphere evocative of Tokyo’s bustling izakayas. A trendy social house in Singapore with gritty underground vibes, Neon Pigeon presents a menu packed with flavour and punch, with modern izakaya-style dishes and Japanese-inspired cocktails mirroring the same format of those found at popular Japanese-Peruvian restaurant, TokyoLima. With influences from East and West, the TokyoLima team will join forces with Corbin Tay (bartender of Neon Pigeon) and Dennis Smit (Chef de Cuisine of Neon Pigeon) for a fiery 6-course menu guaranteed to ignite the taste buds. Make sure you bring a hearty appetite for dishes such as seabream sashimi with yuzu koshu, soft shell crab bao, charcoal-fried rump with mushroom duxelles, and sudachi curd with toasted meringue and buckwheat crumble.